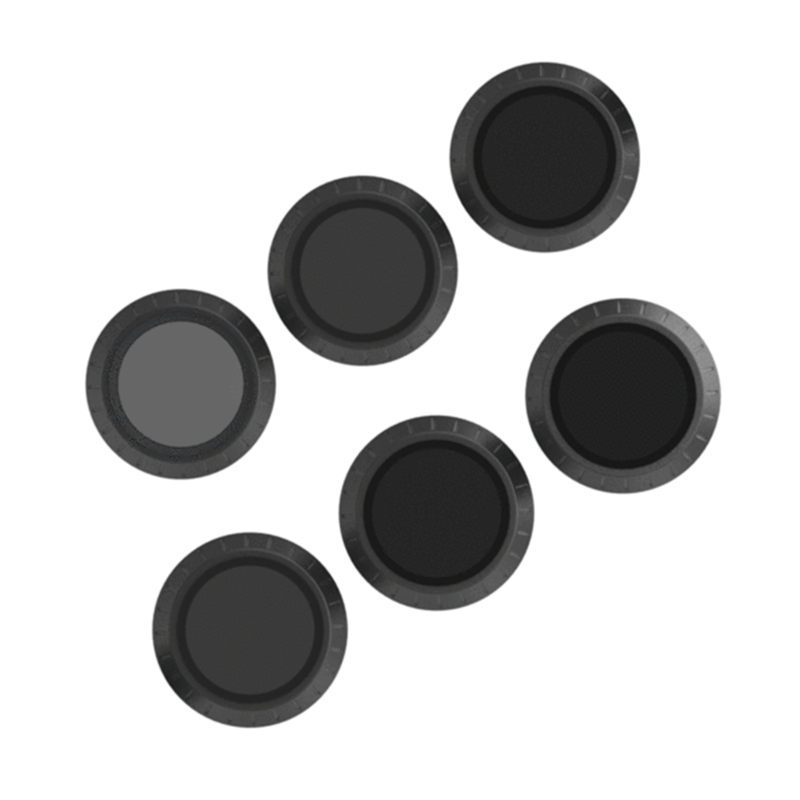 The DJI Mavic Filter Professional 6-Pack includes all the filters in the 3-Pack, plus three additional filters to cover nearly every lighting condition. 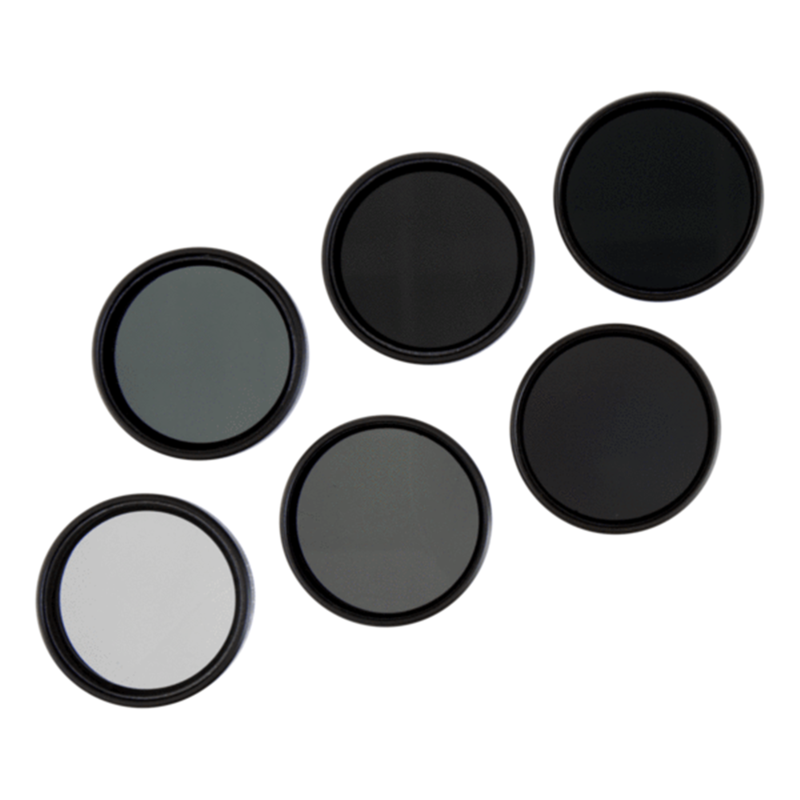 Included in the Mavic Filter 6-Pack are a CP, ND8, ND16, ND32, ND8/PL, and ND16/PL filter. When filming in extremely bright conditions, the ND32 filter will help Mavic pilots achieve a slower shutter speed. The ND8/PL and the ND16/PL are both specialty combination filters that enable pilots to lower the DJI Mavic's shutter speed as well as reduce glare using a single glass element. The ND8/PL should be used on partly cloudy days when polarization is needed, while the ND16/PL should be used on sunny days for smooth, cinematic composition. All of the DJI Mavic filters in the Professional 6-Pack are constructed with PolarPro's AirFrame design, making them feather-light and safe for gimbal use. Each filter is made with PolarPro?s HD glass for capturing crystal clear images and video and feature lightweight frames that won't affect the camera gimbal. 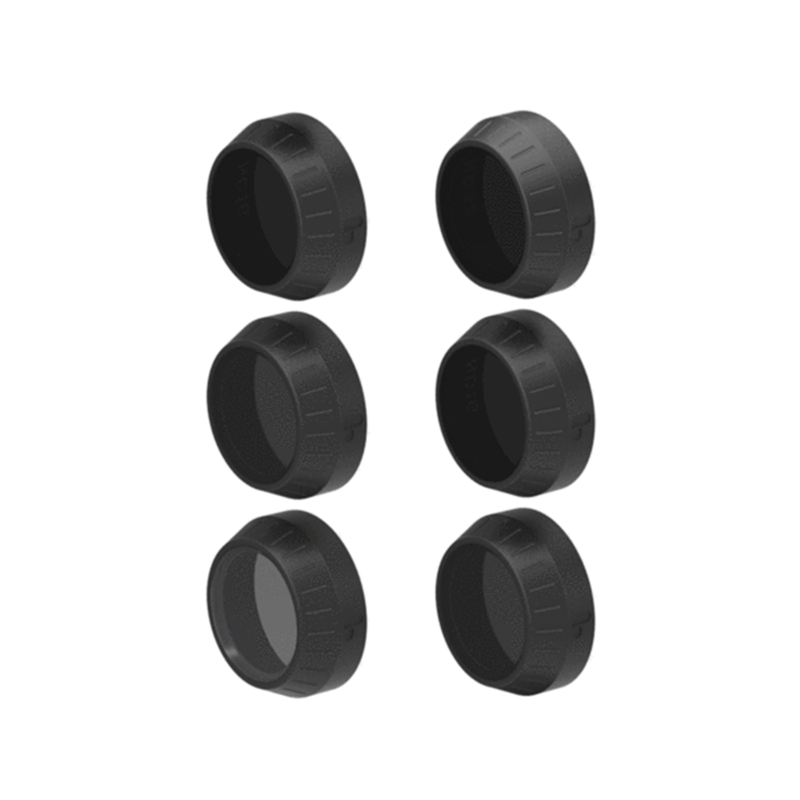 These filters have a pressure-fit design and fit snugly over the DJI Mavic camera lens for quick installation. Included with each 6-pack is a custom made carrying case to keep your filters safe and ready to use. Take your Mavic photos and videos to the next level with this professional filter set. The Circular Polarizer filter is designed to reduce glare, which is especially helpful while filming over water or snow. The ND8 filter is what we use on partly cloudy to mildly sunny days where we need to knock the shutter down by 3 f-stops to achieve a shutter speed of 1/60th. The ND16 filter is what we use on very bright days to reduce shutter speed by 4 f-stops. We generally use the ND16 filter while filming in the desert or over snow. On extremely bright days, the ND32 reduces the camera's shutter speed by 5 f-stops. getting shutter speed near 1/60th - 1/50th, allowing you to capture cinematic quality content even in the brightest conditions. Reducing the camera's shutter speed by 3 f-stops, the ND8/PL is the perfect filter for partly cloudy days. The polarizing aspect of this filter reduces glare and increases color saturation. Our go to filter when it is sunny out, the ND16/PL reduces shutter speed by 4 f-stops and polarizes the scene for capturing vivid colors on bright sunny days.